Beloved masters, the Rays of Divine Light, which are radiated throughout Creation via the great Archangels, not only contain the all-encompassing attributes of our Father / Mother God, but their thoughts and emotions of love and wisdom are also constantly being Ray-diatedthroughout all Creation. However, it is each person’s responsibility to be receptive to this gift of Living Light, to integrate as much as possible, and then to pass on a portion to humanity, and also a “tithe” of Love/Light and gratitude back to the SOURCE of ALL. Universal Law mandates that there must come a time when all conscious Souls begin to return a portion of the Divine gifts of Love/Life they have been allotted—it is called the Law of Responsive Return. When you actively participate in sharing your allotment of Adamantine Particles in times of prayer, affirmation, meditation and via the World Pyramid, you are fulfilling your obligation to our God Parents as an active and caring cocreator. This is the highest and most effective form of tithing. It is important to share your earthly riches, but even more important to share your loving energy, gifts and talents of Spirit. The SACRED WHITE COSMIC FIRE, Adamantine Particles, that you magnetize to you as an awakened Self-master must continually circulate. Only a certain amount— that which is appropriate for each Soul to integrate at their current level of en-Lighten-ment—can be stored within the physical vessel. The remainder must be RAY-diated out into the world of form. The Supreme Creator is composed of infinite, indefinable Essence power which is so overwhelming that you cannot even imagine ITS magnitude. That wondrous Essence power has been reduced within every dimensional level of Creation so that you, the Star Seed cocreators, may claim your portion of this magnificent energy. Each human Being contains hundreds of potential personality traits, which have been stored within the genetic structure of his/her four-bodily systems (physical / mental / emotional / etheric). It is up to each person to determine which personality traits he/she will develop and present to the outside world. The faster you neutralize or harmonize your negative personality traits, the more quickly your godly potential or your master Self will emerge. Only then will you gain access to your full potential as a cocreative master within the physical planes of existence. At that point, you begin to build a force field of the Full-Spectrum Light for this Sub-Universe, as you strive to become a Self-master, and a conscious cocreator who only creates those things which are for the greatest benefit of all. From that time forward, your breathing exercises and affirmations take on a whole new meaning. The Breath of Spirit/Life/Energy Conduit (which contains two Threads of iridescent Light) first anchors within the Soul Star, OverSoul/Higher Self. Of the two Life Energy Threads, one—a Gold Cord—is then anchored within a God-Seed Atom in the Pineal Gland, and the other one—a Silver Cord—is anchored within the Diamond Core God Cell within the Sacred Heart. This essential “CORD OF LIFE” uses the blood stream as its primary distributing agent. The Consciousness Cord connects with your OverSoul/Higher Self within your Soul Star Chakra, and then anchors within the Pineal Gland in the brain. The Creative Cord connects with the Right Brain hemisphere of the higher mind of intuition and inspiration, and with the Sacred Mind. A SECOND RAY, HEART SEED ATOM WITHIN THE SACRED HEART. As a person gradually awakens to the nudgings of the Soul and Higher Self, thereby becoming a Seeker of higher wisdom, the Consciousness and Creativity Cords become active, and vital frequencies of Self-mastery and Ascension begin to flow into the physical vessel. Eventually, higher frequency, vibrational patterns will be radiated from the GOD-SEED ATOM down through the River of Life column of Light–the Antakarana–into the Soul Star, and then directly into the Pineal and Pituitary glands, and also into the Sacred Mind and Sacred Heart. The physical mind, controlled earlier by the ego desire-body personality, is now controlled by the higher frequency consciousness of the Soul Self. Each Sacred Triad was diminished in Light Quotient as it moved further out into the void and the density of Creation. The beginning Fifth-Dimensional stage of awareness—the densest, first sub-level—will initiate a focus on the mental body, and the integration of Divine Will. Specific evolutionary laws apply on each sub-plane as well as on each full plane of consciousness. THE LAWS OF SPIRIT WITHIN THE FIFTH DIMENSION ENTAIL: Learning how to wield energy in the physical, material world using the three God Rays from within your GOD-SEED ATOM, via the SACRED TRIAD of the first sub-level of the Fifth Dimension, to which you are gradually becoming attuned. It is also vitally important that you learn to stay centered within the Still Point of Infinity—the NOW moment of God Power. The TRINITY aspect of the Third/Fourth Dimensions, BODY / MIND / SPIRIT, will become a perfected DUALITY, a Soul-Infused Personality—a fully conscious Soul on the physical plane. From that point onward, the Soul-infused personality is directly connected to the Fifth-Dimensional, entry-level, Sacred Triad, which is connected to all of the higher-frequency Sacred Triads throughout the Multi-Dimensions. After completing this stage of evolution, there will no longer be an Over-Soul/Higher Self within the Third and Fourth Dimensions. As you traverse the sub-levels of the Fifth Dimension, there is a Sacred Triad stationed within each of the Seven Sub-Dimensional levels, each one diminished in size and Light Power from the one above. All of the Sacred Triads were sent forth directly from within the Heart-Core of your God-Seed Atom, and they have been stationed within every Sub-/Full-Dimensional level—all the way down to the lowest—the first Sub-Plane of the Fifth Dimension. As human Beings—Spirit/Soul/Physical Body—you are infused with the WILL to create, a sense of purpose, instinctual incentive, and a complex nature. Each person will have unique moods, desires, qualities, inherited complexities and inhibitions, for each incarnation is the sum total of the major aspects of a person’s thousands of life experiences. The Soul is reflected through the personality until Soul integration is complete, at which time the Soul Self OverLights the personality and expresses directly through it. Ask and we will assist you in every endeavor. Call on us and we will bolster your courage and lighten your burdens. Know that the days ahead are bright with promise as you walk the path of the masters before you. We shower down upon you a full measure of the radiance of our Father/Mother God. 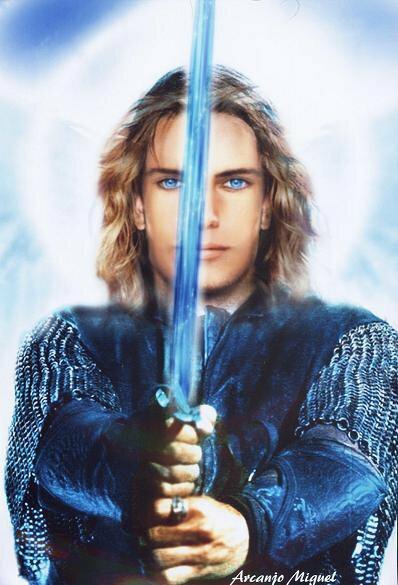 I AM Archangel Michael. Note: Please scroll down to the bottom of this email for links to foreign language translations. As we enter the new year of 2016, we face many challenges, tests and opportunities, for we are truly on the Cusp of a New Age of conscious awareness and Self-mastery. 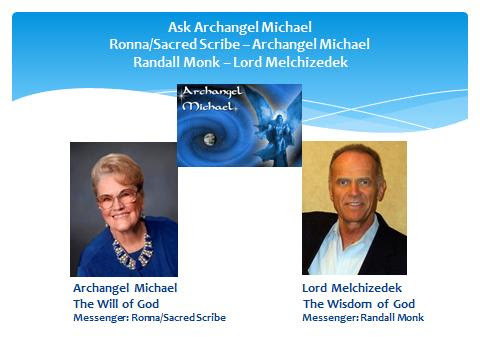 If you have been faithfully following Archangel Michael’s teachings over the past few years, you are aware that new wisdom teachings are guiding us toward a dramatic new reality. The messages have become increasingly complex, and for most of us, we must study, ponder on, and even reread the messages several times before we begin to get a clear understanding of what is being relayed to us. THE MAGIC AND MAJESTY OF THE FIFTH DIMENSION IS AWAITING YOUR RETURN. ARE YOU READY? Click here to access the replay.